So is it 'whiskey' or 'whisky'? It was love at first sip for Kim Ohanneson when she tried her first scotch, Macallan. She was friends with a Scotsman who regularly set out single malts for Ohanneson, along with a group, to sample. She found herself gravitating towards peatier, smokier Islay malts and landed on Laphroaig 10-year-old as her dram of choice. Women have always been around whiskey, but the perception of it as a man’s drink has endured. “Back in the 18th century, whiskey was the medicinal cure for everything and colonial women were the home distillers who made whiskey for family, friends, and barter,” Ohanneson told Citizine. “Then, in the 19th century, as spirits became more popular and more commercial, prostitutes started selling whiskey legally in brothels and bars, and the association between women and whiskey went from domestic to dissolute. And while the flapper culture empowered women to drink outside the home, gin and cocktails dominated the drinking scene because of the limitations of alcohol production during Prohibition,” she continued. With over 40-percent of whiskey-drinkers now being women, it was time for women to have a space to become more educated and confident consumers. Women Who Whiskey became exactly that. Women Who Whiskey hosts events to bring women together over a common love of the aqua vitae—latin for “water of life”. “Los Angeles ladies (and men!) have enthusiastically embraced Women Who Whiskey L.A.; we’re the largest WWW chapter in the world with 2400-plus members," Ohanneson explained. "We’ve had some fantastic partnerships that I think are unique to L.A.” One of those partnerships is Cartwheel Art Tours. Their joint events start with a street art tour, and end with a tasting. Ohanneson has also produced noteworthy events with John Campbell, the Master Distiller of Laphroaig, and Becky Harris, the Chief Distiller, co-founder, and president of Catoctin Creek. 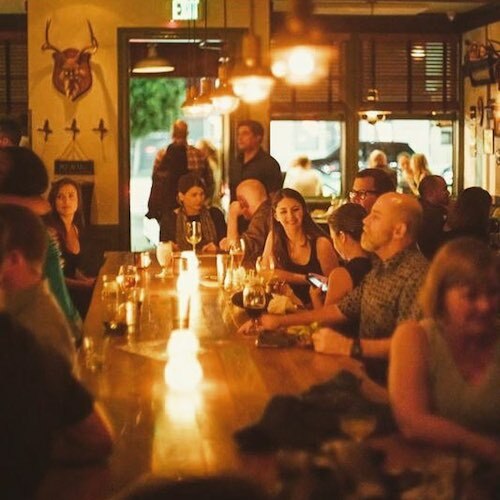 For a more informal experience, there’s Whisky & Poetry salon, where guests trade words for whiskey, and No Host Bar nights designed to bring members together at LA’s best whiskey bars. Speaking of cocktails, they’re a great way to try out whiskeys. 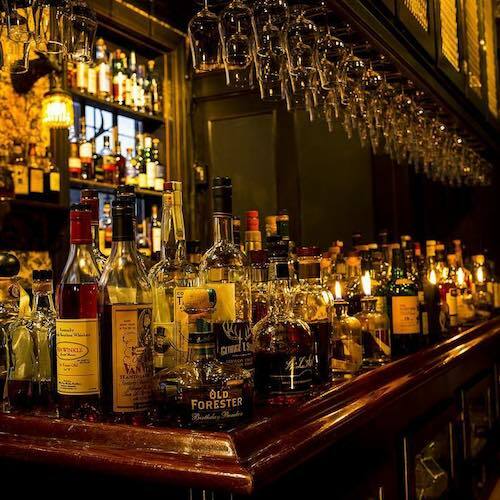 “Try an Old Fashioned, Manhattan, Penicillin or other classic whiskey cocktails at different bars; if you really like a cocktail, ask the bartender what whiskey they used and try it neat,” Ohanneson concluded. Kim Ohanneson: Anything from Islay, which is known for peatier whiskies like the Ardbeg Corryvreckan, Lagavulin 16, the newer Kilchoman “Machir Bay”, and the aforementioned Laphroaig 10. I’m also a huge fan of the Glenmorangie line; Master Distiller Dr. Bill Lumsden pioneered the art of extramaturation: putting aged whisky in wine casks for extra flavor. Glenmorangie 10-year-old is an elegant, very approachable single malt Scotch. KO: Japanese Suntory whiskeys are among the finest in the world but sadly, are becoming harder to find because of high demand and dwindling supplies. Hibiki Harmony is rich but delicate and well-rounded if you can find it. Toki is a delicious blend that’s great in a classic Japanese highball. I also love the smokier Hakashu 12-year-old. Nikka also makes very accessible whiskeys. I also love Ohishi Sherry Cask, which is basically aged shochu made from brown rice and matured in sherry casks. And while they’re Taiwanese, not Japanese, Kavalan whiskeys, are spectacular: layered and complex with tropical notes. KO: A go-to classic is Redbreast 12-year-old Cask Strength (meaning no water is added to achieve a lower proof). Teeling Whiskey Co., the first distillery in Dublin in [over] 150 years, is producing very innovative whiskeys and racking up awards; their Small Batch and Single Malt whiskeys are great. Another fave is Connemara 12-year-old: one of the few peated/smoky Irish whiskeys. KO: Russell’s Reserve Single Barrel Bourbon from Jimmy Russell: the last of the great, old-school distillers who’s been at Wild Turkey for 60 years, is just sip after sip of goodness. Beam Suntory’s Booker’s is an ultra-premium, small-batch bourbon created by Booker Noe, Jim Beam’s grandson; each year’s themed batch is slightly different; they’re all delicious. Henry McKenna 10-year-old is a perfect sipping whiskey despite its high proof. 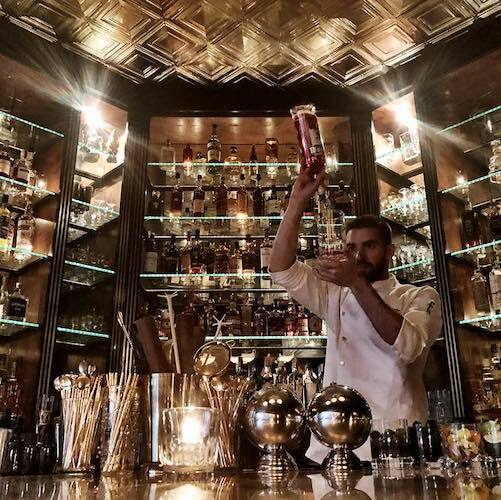 KO: Esquire just named ERB one of the best bars in the country, but the team, headed by bar manager, Othón Nolasco, hasn’t skipped a beat; they keep making great cocktails and pouring whiskey from their extensive selection for guests on one of L.A.’s best patios. Bonus: “bar snacks” are by James Beard award-winning chef Matt Molinas, including one of L.A.’s best burgers. 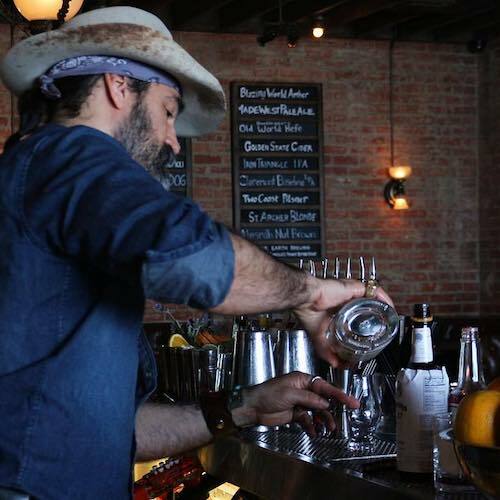 KO: Cedd Mose’s iconic whiskey bar was a lynchpin in the revitalization of Downtown L.A. and helped a new generation of drinkers discover and explore brown spirits. 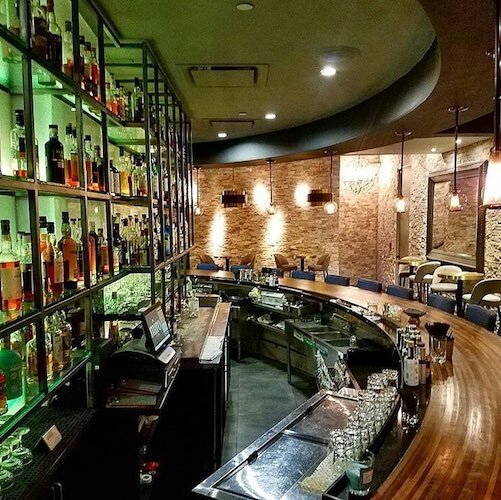 In the back, members-only Bar Jackalope, which is modeled after a Japanese whiskey lounge, hosts the Whiskey Society education series; it’s open to the public for a fee, but members get priority. Otherwise, the tiny room only accepts parties of four or less; non-members sometimes admitted on slower nights. KO: This intimate, subterranean, DTLA drinking den below high-end miro has a far-ranging whiskey list and a sophisticated, comfortable ambiance. Although it’s a private club, the 20-person room can accommodate non-members with advance reservations if there’s space. KO: Dial yourself into this stylish speakeasy for top-notch drinks and a well-curated whiskey selection sipped amidst a dapper crowd. 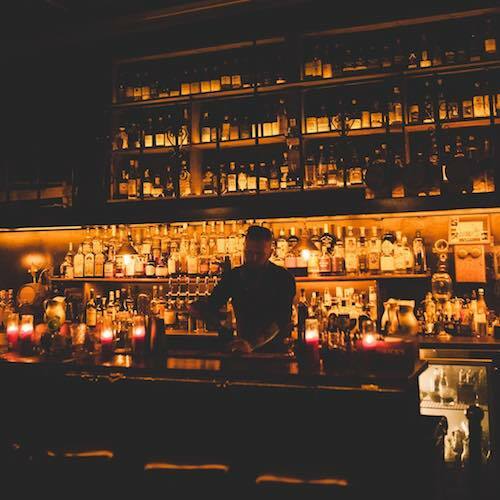 KO: The South Bay’s hippest dive bar serves up whiskeys ranging from high-end to low-brow in an unpretentious setting. KO: Jeremy Lake’s blink-and-you’ll-miss-it Hollywood & Vine hideaway serves up a global array of whiskies and inventive, impeccably mixed cocktails in an old-school setting. 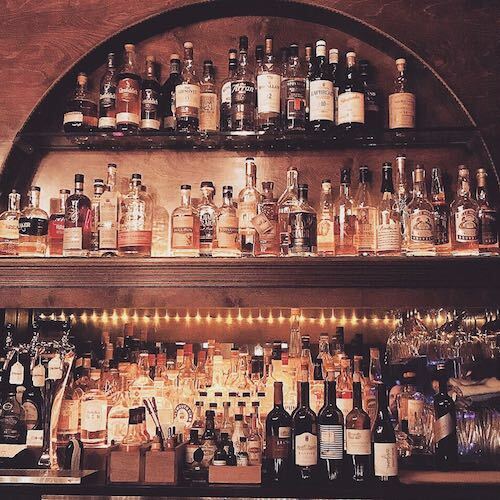 KO: Come with a crowd, take over the long central table, and explore the extensive whiskey list, including proprietary barrels, at this Toluca Lake tavern with upscale bar fare. KO: The WeHo outpost of New York’s much-lauded drinking den is the most fun cocktail experience in town thanks to a jaw-dropping team of expert bartenders lead by Dee-Ann Quinones. 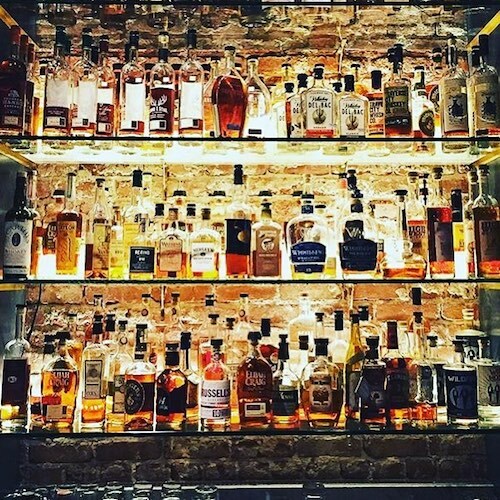 KO: Looks can be deceiving at Phil McGovern’s enduring Santa Monica dive, which mixes shuffleboard and pool tables with one of L.A.’s most jaw-dropping whiskey collections co-curated with whiskey sensei Chris Uhde, who periodically holds whiskey tastings for those in the know. KO: This inviting whiskey and cocktail bar and its selection of 200+ bottles of the water of life draws a sophisticated crowd despite its location in tourist-heavy Santa Monica. Hidden-door backroom of bar Seven Grand, specializing in Japanese whiskey amid a moody vibe. 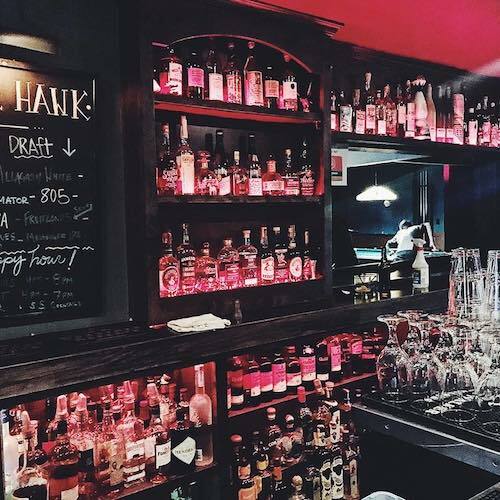 And in today’s episode of New York moving to LA, we’d like to highlight Employees Only—one of NYC’s most famed speakeasies that opened in WeHo along Santa Monica Blvd. this past weekend. Whether you’re here for fancy cocktails with a date, or doing an epic night out with friends, Employees Only will fill your quota for that quintessential WeHo experience for at least the weekend. 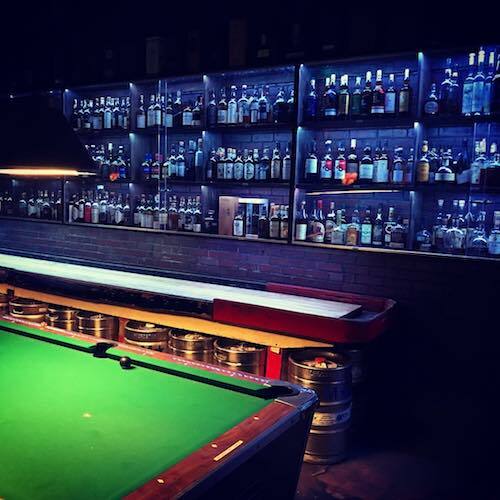 Collegial bar known for single malts galore plus 30+ craft beers on tap & shuffleboard & pool.